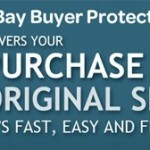 The same as Amazon except you have protection from eBay Buyer’s Protection (Similar Program but sometimes a longer process) instead of Amazon’s A-to-Z Guarantee. Getting negative feedback on eBay be bad for sellers, but not nearly as bad as it can be for Amazon Sellers. Why This Level of Protection Can Be Bad. Too much protection can cause a less competitive market because small sellers with low overhead cannot afford to sell 5 items and lose 1 of them to a dispute. Larger sellers that have high quantity of sales and factor fraud, theft, and lost inventory as a cost of doing business, but if you are the small seller– even losing one big item can be crippling. But if you don’t plan on being a seller anytime soon – then you are in luck as a buyer. Examples of Problems I’ve had. I myself have sold on Amazon and have battled several claims, but let me tell you about a few horror stories. Someone claims an item didn’t arrive even though I sent it signature confirmation and the person’s name is signed for — What can I do? They claim they didn’t get it, but they might have the item. As a seller this can be a nightmare because it is 100% “he said she said” and there is a good chance if they push with amazon or their credit card company – you are going to lose the payment and the item is gone. Someone filed a claim against me through their credit card company 117 days after confirmed arrival. Note: They avoided A-to-Z claims because the time limit had expired. I was offered no explanation to why they wanted their money back – all I knew was amazon was putting a lock on my funds. I won thankfully after about 20 days. Nothing is worst than seeing “Your account is hold” or “Some of your Funds have been put on reserve.” The e-mails that let you know you have a claim against you are painful to receive and it normally comes right around when you wake-up, great way to start a day. I try to avoid selling large items (like Cameras and iPads) because I cannot afford to take a $500 hit, emotionally more than financially. Amazon doesn’t require Signature Confirmation (Only Delivery Confirmation), but if you have a claim, Signature Confirmation can act as evidence. The downside is it costs about +$2.00 a sale. If you sell 1000 items a year, that’s $2000 in costs. It becomes a numbers game. Also Signature Confirmation doesn’t guarantee you win as a seller by a long shot. Scammers are very common on amazon, but one practice in particular is very common, “Yankee Swapping.” You break your iPad or iPod? Just order a similarly described item (without the giant crack in the screen) on amazon then immediately return the broken one and get a full refund. Does the seller want to stand up and say “This isn’t the same one!,” of course he or she does, but there is about a 95% chance they will lose anyways if they decide to fight. I myself keep track of serial numbers – but I don’t think they would even take it as evidence truth be told.